With over 15 years experience and a true focus on customer satisfaction, you can rely on us for your next kitchen update. From kitchens, baths, + basements to custom trim work, roofing, and new additions, we will exceed your expectations in every project. We are committed to offering superb attention to detail, competitive pricing, + top-notch professionalism. 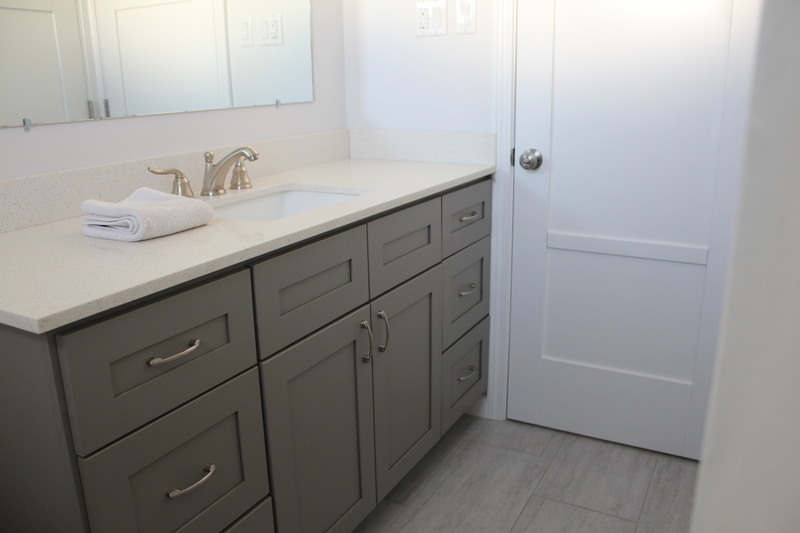 you can rely on us for your next kitchen and bathroom remodel, basement completion, or building need! 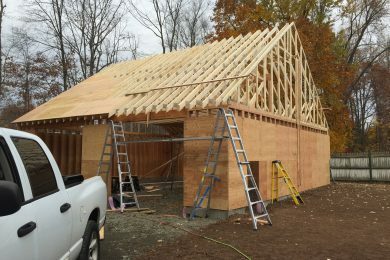 Central CT Building & Remodeling is committed to offering our customers quality products with expertise, knowledge, and quality installations. 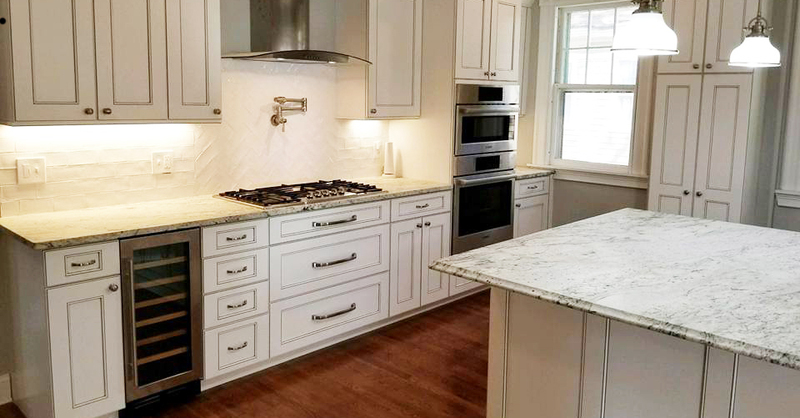 We offer high end products for your kitchen remodel, window replacements, basement remodel, bathroom remodel, flooring projects, deck building & refacing, and all other aspects of your remodeling needs, while offering the highest standards of customer service available to all of our customers. Work with us involves a carefully planned series of significant planning, centered around a schedule we stick to and daily communication. 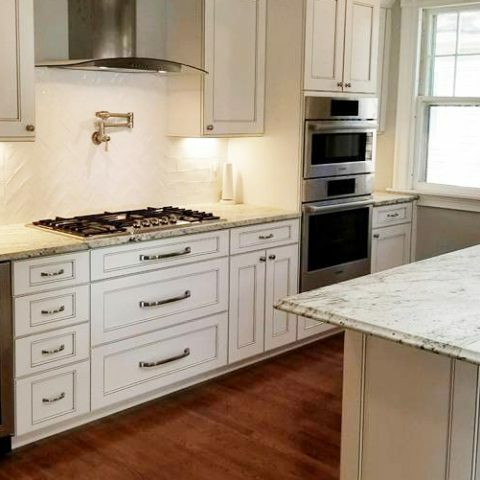 "Central Connecticut Building and Remodeling did an amazing job on my kitchen. It started out as a small, cramped space with outdated cabinets, old windows, and a narrow walkway. Jay and his team gut the entire kitchen and knocked down some walls to open the space up quite a bit. 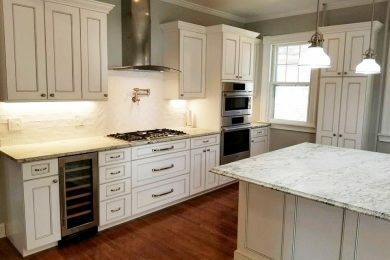 His team then was METICULOUS when installing the cabinetry, hardwood flooring, backsplash, wainscot, crown molding, and all brand new windows. We are so pleased with his work, we've chosen to hire them to do our bathroom, too!" "I highly recommend Jason and his team to complete any building project you might have. 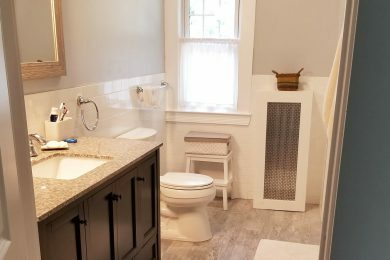 We had them re-do our bathroom, install new windows, and then add a new deck in the spring and we are very happy with the results. They did a great job communicating the process, any issues that arose along the way, and were quick to complete each task at hand. We are very pleased to have found them! Thank you!" "Wow! is all I can say about the amazing job done by Jay Hatcher and his team of contractors. They were kind, professional, and always prompt. Our bathroom looks amazing!! Highly recommend!!"